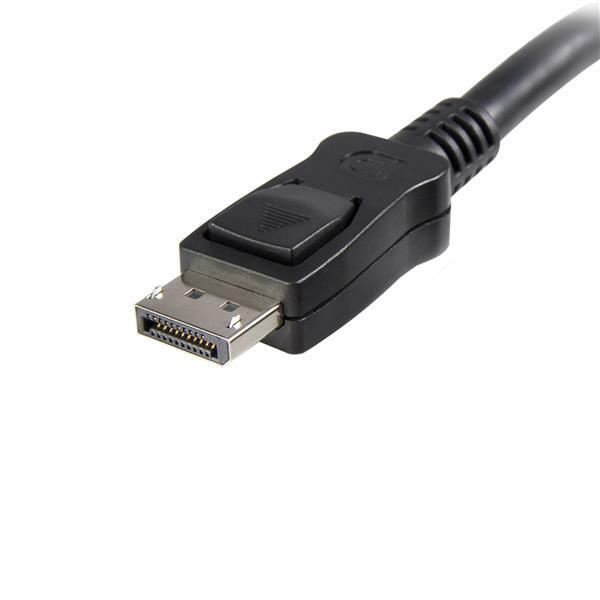 The DISPL7M DisplayPort Cable with latches provides a secure connection between your DisplayPort-enabled devices and allows for a connection distance of up to 7 meters between your source and display. 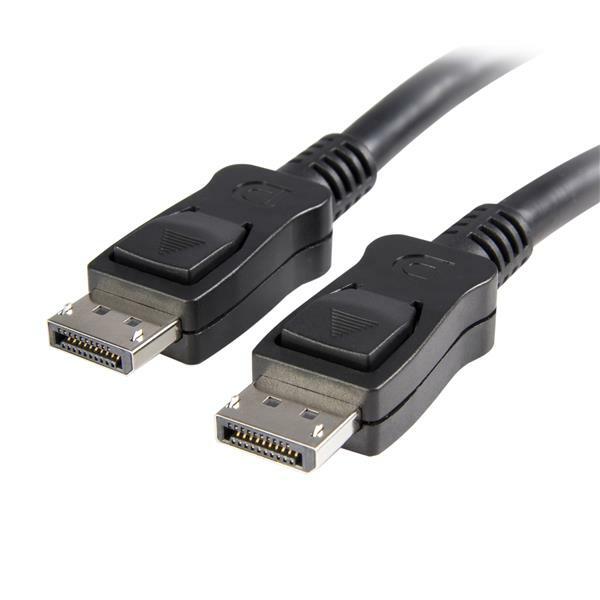 With a bandwidth of 10.8Gbps and support for maximum resolutions up to 2560x1600 (WQXGA), as well as optional audio support, this 7-meter DisplayPort cable offers impressive video capability and ensures that digitally protected content is displayed properly, with both HDCP and DPCP capability. The DISPL7M is backed by StarTech.com's Lifetime Warranty.